Is there a chocoholic in you who looks for chocolate in every product that he wishes to eat? 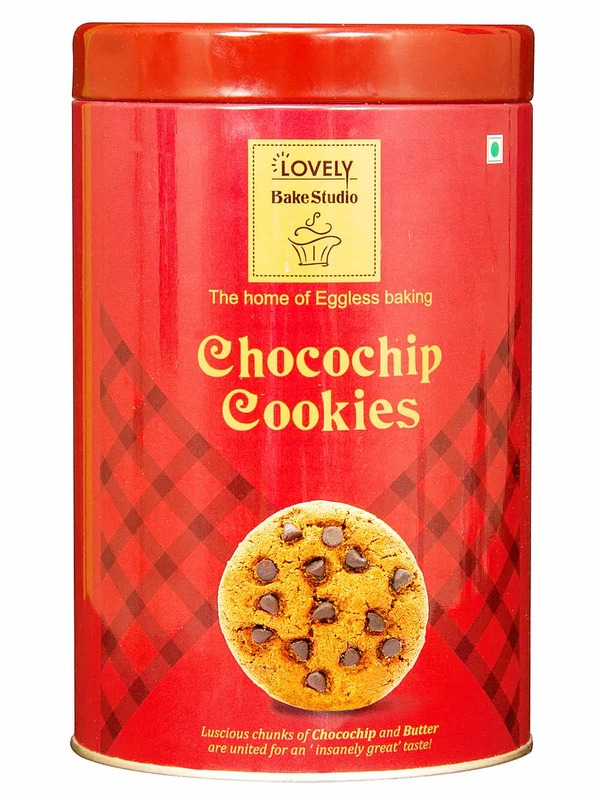 Then consider buying Lovely Sweets choco chip cookies which taste extremely delicious and will satisfy the chocolate lover in you. Its chief ingredients include brown sugar, flour, unsalted butter, vanilla extract and chocolate chips. Lovely sweets is a name that you can blindly trust. Its products will leave you with a refreshing experience with its exquisite flavours. Buy it online at FoodFeasta.com if you want an easy online shopping experience. Ingredients Wheat flour - Sugar - butter - Edible vegetable fats - choco chips - milk solids.